Perfect for after a Bath or Shower. 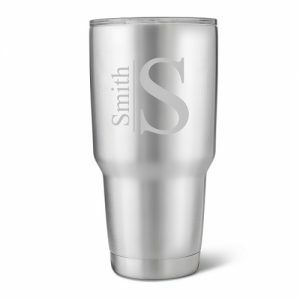 Select from 16 colors and 2 sizes with option for a custom monogram. Select options below and Add to Cart. 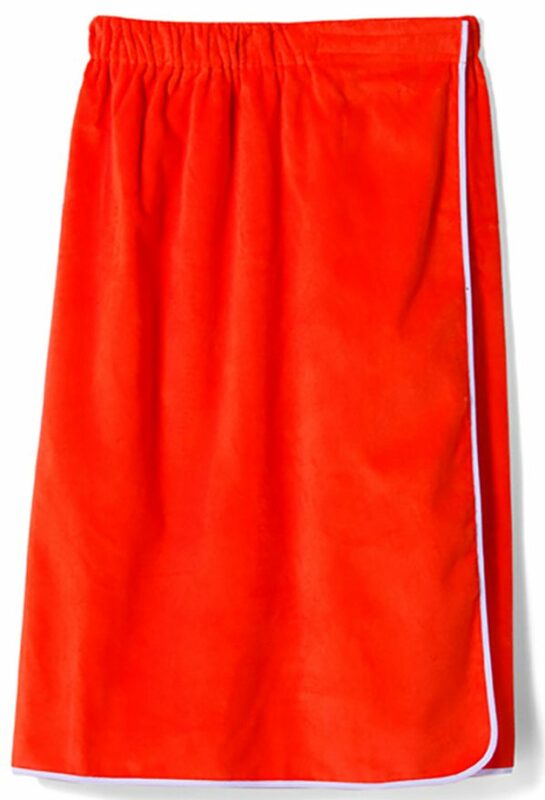 Wrap yourself in comfort and style with a terry velour shower towel wrap (Orange with white piping shown) from Classic Personalized Gifts. 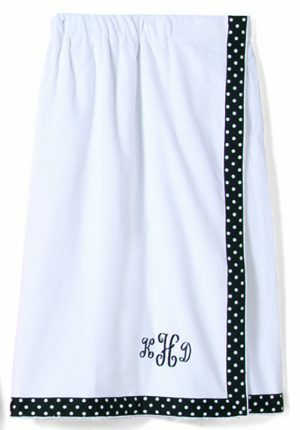 Our terry shower towel wraps are hand crafted in the USA from 100% cotton terry velour, and feature an extra-long Velcro strip and soft-rolled elastic top. 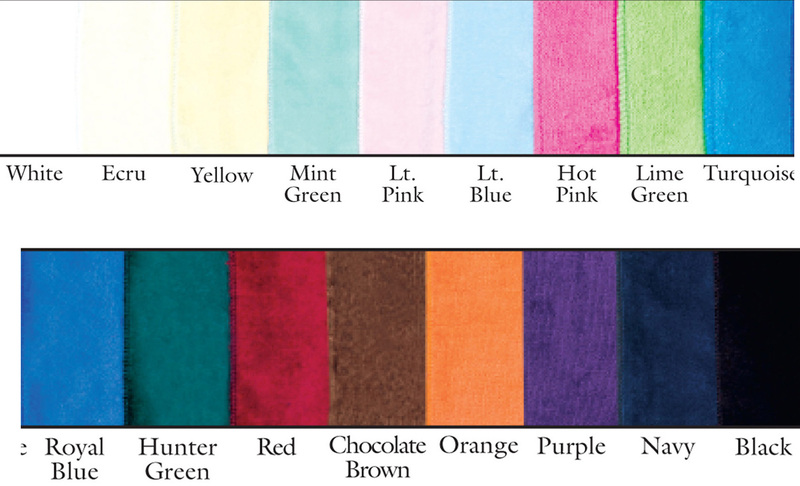 Our Small/Medium/Large towel wraps are designed for women with bust sizes 32″ to 40″ and our XL/1X/2X towel wraps are designed for women with bust sizes 40″ to 48″. After a bath, shower, swim, workout or just relaxing, nothing beats our luxurious super-absorbent terry towel shower wraps. Thirsty loop terry on the inside and luxurious sheared terry on the outside make these terry shower towel wraps much appreciated gifts or just to indulge yourself.